Malaysia has the highest number of Nepali migrant workers overseas with 700,000 people employed in its plantations and factories. But the country also registers a disproportionate number of deaths of Nepalis. Between July 2014-July 2015, 425 Nepali workers died in Malaysia, according to figures from the Foreign Employment Promotion Board in Kathmandu. Qatar, which has 550,000 workers from Nepal, had relatively fewer deaths: 178. Nine Nepali migrant workers died every week in Malaysia between July-November last year, according to the Nepali Embassy here, most of them from what health experts call sudden unexpected death syndrome (SUDS). Malaysian doctors and labour activists are puzzled at the abnormally high mortality rate from SUDS among Nepali overseas contract workers in Malaysia, disproportionately more deaths than Qatar, UAE and other Gulf countries. Although research is sparse and autopsies are rarely performed on dead workers, factors could be hard work in hot and humid conditions, excessively air-conditioned living quarters, worry about low pay and family back home, as well as consumption of illicit alcohol. An additional anxiety here is reduced earnings due to the falling Ringgit. The money Nepali migrant workers send home forms 40 per cent of Nepal’s total overseas remittances, and Nepali workers are paying with their lives. A Malaysian government hospital doctor who treats migrant workers, and asked not to be named, said most sudden deaths are a result of cardiac arrest. “However I can’t say for certain what is causing them, we never carry out any detailed investigation,” she said. Last year the Malaysian government decided to withdraw health subsidies and increased medical fees for non-nationals by 30 per cent. Public health experts here say this actually adds health risks to Malaysians, since many migrant workers also have TB or malaria. Workers are also not aware of the precautions they need to take about the extreme climate in Malaysia compared to Nepal. “The Nepalis might not be used to such long hours of work, under scorching heat but they aren’t given proper health and other training beforehand,” adds Fernandez. Last January, a riot broke out at a plywood factory in Kedah when Nepali workers protested the death of a colleague who had difficulty breathing and died because he wasn’t taken to hospital in time. Protesting workers were arrested, and five deported. 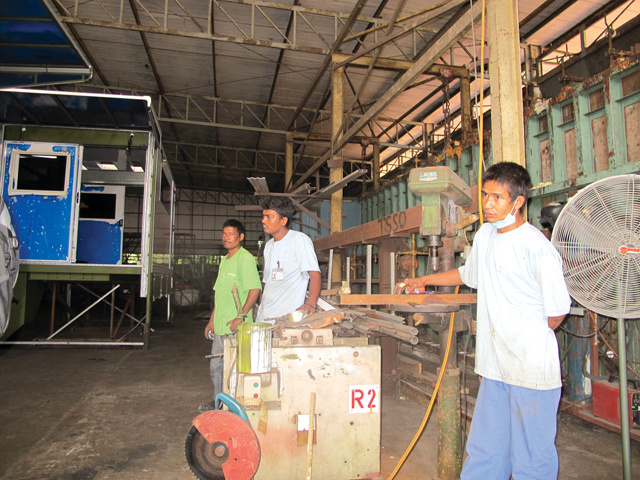 A month earlier two Nepalis in the same factory had also died of SUDS. In another case, more than 1,000 Nepali workers protested at the factory in Johor when a fellow worker died due to lack of health care last August. Some 50 workers were arrested and most of them were sent back to Nepal. “To find out why this is happening, we must include a clause for mandatory post-mortems for dead workers in labour agreements,” said Ganesh Gurung, an expert on labour migration in Kathmandu. At present autopsies are not required. After international outcry over the death of Nepali workers in Qatar, the authorities there argued that the fatalities corresponded to the national average for heart attack deaths in Nepal. However, statistics show that the death rate among migrant workers is ten times higher than in Nepal for sudden heart attacks among healthy young males. The list of woes migrant workers in Malaysia face is endless: breach of contract, being forced to work overtime, being paid below minimum wage, no sick leave, no insurance and medical benefits. Sumitra Rai was 18 when she got married to Bikram Yonghang of Ilam district. At 19 she gave birth to their first child. Shortly after, Yonghang left to work in Malaysia to earn for his family’s upkeep. A year later his body was sent home in a coffin, he had been killed in a road accident. 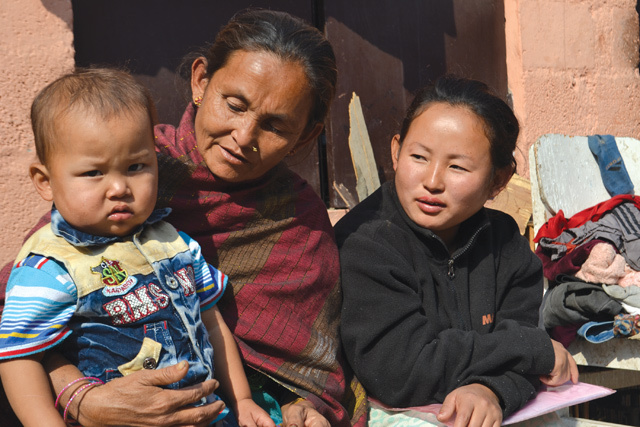 Since her husband’s death, Rai, now 22 (pictured, right, below with her mother-in-law) has spent much of her time commuting back and forth between Ilam and Kathmandu to claim his insurance money. This week the Foreign Employment Promotion Board, the government agency that needs to approve her insurance claim, rejected her application for the fifth time because of inadequate paperwork. “Every time the officials tell me some paper is missing, and I need to go back to Ilam to get it,” she told us. Rai’s village in Ilam is inaccessible by road and she has to walk for a day from the district headquarter. The Madhes unrest has also made it more difficult for the single mother to travel along the East-West highway. Rai wants to start a shop with the insurance money, and hopes she can make enough to raise her son. “I do feel like giving up sometimes thinking about all the obstacles from officials, but I can’t. My son needs me,” she said. The number of migrant workers dying abroad now averages three per day, breeding a new group of young widows in a country where the war had already left thousands without husbands.